I am cutting it a lot closer than usual here, but I did get my bee blocks finished in time to mail out before March 1! I actually switched bees within do. Good Stitches and this is my first month in the Haven Circle. 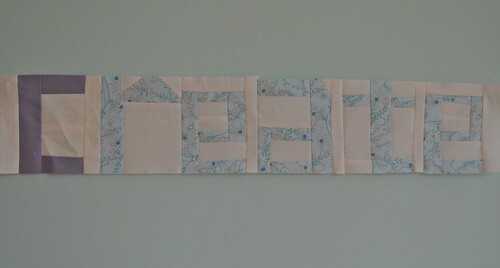 We were asked to make a block with an inspiring word in low volume fabrics. 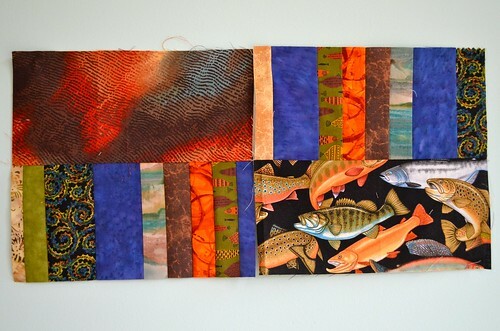 I chose "create" and decided to try improv piecing for it. I think it is legible, but it is long! Longer than I planned. I hope at 24"x 5" it fits in with the other words okay. For our second block we were allowed to make a second word or just a traditional 12.5" block. 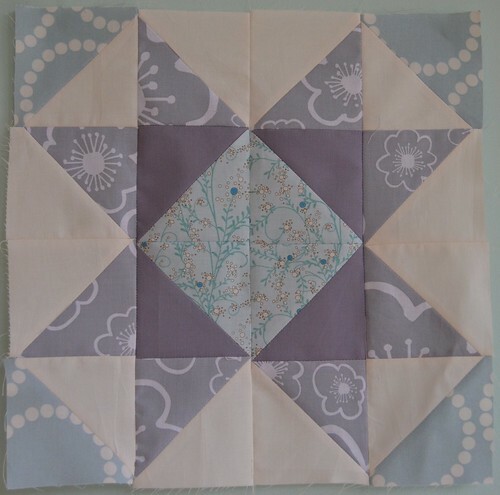 I chose the sawtooth star since I have really been enjoying making HST with my sizzix die. I love skipping the trimming step! Last but not least, these are my blocks for the Sewn Together bee. February is Rick's month and he is planning to make a quilt for his brother. I think these fabrics really transport you to a mountain stream. I am excited to see how it turns out! I should be back tomorrow with a giveaway! I got a fun swag bag at Quiltcon, but really don't need most of the stuff in it, so I thought I would share! lovely blocks! i really like your star. and don't worry about the length at all. i'm planning to do an improv-y layout so i'll find a way to make them all fit together.